TIPA awarded the Leica M type 240 camera as their "Best Professional Camera". Back in 2009 TIPA gave the Leica M9 their "Best Prestige Camera" award (this category no longer exists). Solms (ots) - Leica Camera AG has been awarded for the latest camera model from the Leica rangefinder system. 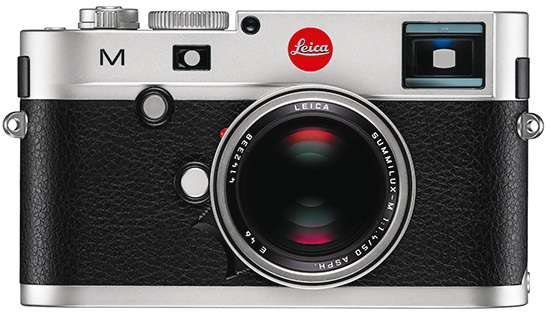 The Technical Image Press Association (TIPA), the Leica M awarded the title of "Best Professional Camera 2013 '. The award-winning camera is a pioneering milestone in the Leica rangefinder system dar. 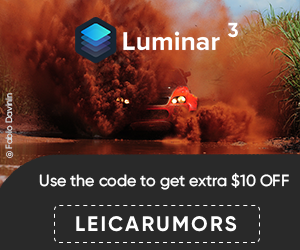 first time equipped with a newly developed CMOS image sensor and functions like Live View, Full HD video and additional focusing methods it is the most versatile Leica rangefinder camera and setting new standards. It combines the capabilities innovative digital technology with decades of continuously developed rangefinder technology.It succeeds, the values ​​of the M system to remain faithful alike to expand the scope of rangefinder photography. The first Leica rangefinder camera (Leica M3) was introduced in 1954. The M stands for rangefinder and an unmistakable, individual kind of photography that gives the photographer the freedom to design - for images that turn moments into vivid stories. Discreetly and quietly holds a Leica M the crucial moment without delay fixed. It enables a photograph concentrates on the essentials, with uncompromising quality and full system compatibility with the best lenses in the world - almost all lenses of the Leica M program since 1954 can be used on the current Leica M camera models. The Technical Image Press Association (TIPA) annually honors in 40 categories for the best photo and imaging products of the year. This year, 27 members voted on the magazines and the Japanese Camera Journal Press Club (CJPC) for the best products in each category at the TIPA General Meeting. The members of TIPA are magazines from nine European countries, as well as Australia, Canada, China, USA and South Africa. This entry was posted in Leica M and tagged TIPA award. Bookmark the permalink. Trackbacks are closed, but you can post a comment.